Kanto Auto Works is not a car manufacturer the way we usually understand it. It has never sold a car to anyone. But it has been building hundreds of thousands of them. Kanto Auto Works is a contract manufacturer, building cars for others, the car companies which will sell them to the general public. Its biggest customer is Toyota, meaning that in Japan, you can buy a Toyota which Toyota hasn’t built. 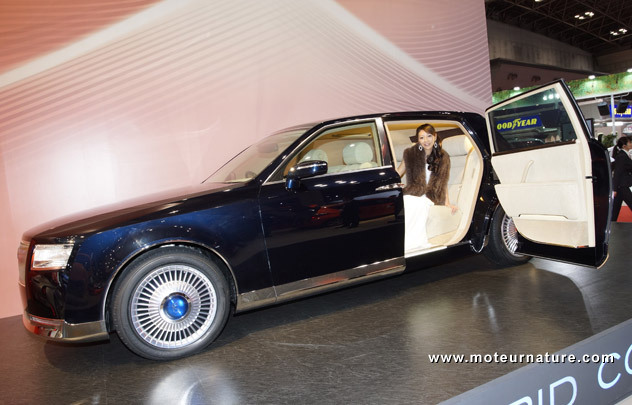 But there was something new at the Tokyo motor show, Kanto AW unveiled the concept of a very high end hybrid car. Its name is FS hybrid, and that stands for no less than FlagShip. 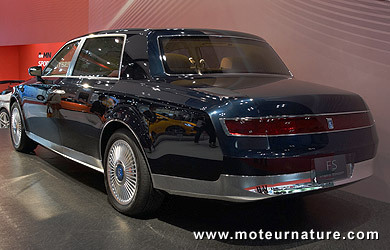 This is a Rolls-Royce-sized limousine and like the Phantom, the rear doors are rear-hinged. 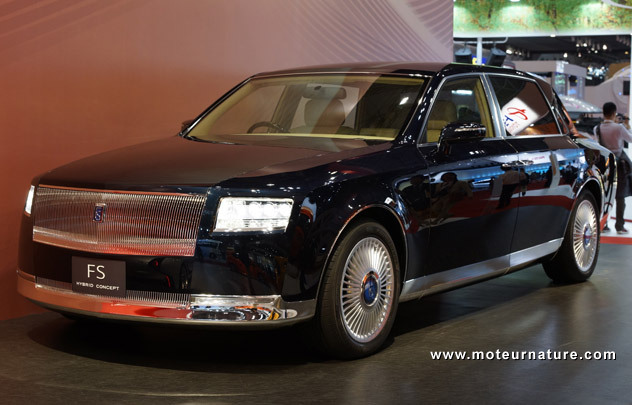 The FS uses a Lexus hybrid drive train, and its interior is fabulous but everybody wonders what is this car. This isn’t a Lexus. The styling is too bulky for that. So could it be a Toyota? Toyota’s flagship, the Century which only sells in Japan dates back to 1997, so this concept may show us what a new generation would look like. But this is not the Toyota way to foreshadow a future model with a concept from another company. That leaves us with only one certitude, this FS hybrid from Kanto Auto Works is a very impressive automobile that we hope will turn into a production model. Founded in September 1946, Kanto AW had made buses. But since 1948, it works with Toyota and made up 15 millionth Toyota (or Lexus) last August. At the moment, I think the plant has to assemble brand new Toyota Aqua (mini Prius) which get 120 000 commands in the first month. The company will fusion with others Toyota group plants next summer.